Support from senior secured noteholders will help Gibson repay bank loans while going through a "change of control" transaction. Gibson Brands filed for bankruptcy with a turnaround plan that gives some of the company's lenders equity ownership of the iconic American business that's supplied guitars to B.B. King, Elvis Presley and Pete Townshend. Support from senior secured noteholders will help Gibson repay bank loans while going through a "change of control" transaction, according to papers filed Tuesday with its Chapter 11 bankruptcy in Delaware. The petition shows the company owes as much as $500 million and that lenders will provide a new loan of up to $135 million to keep Gibson in business. The change in control will give noteholders equity in a new company, replacing current stockholders such as Chief Executive Officer Henry Juszkiewicz. According to court filings, current noteholders include Silver Point Capital, Melody Capital Partners and funds affiliated with KKR Credit Advisors. The restructuring will also allow the instrument business to "unburden" itself of a consumer-electronics unit that Gibson blamed for its financial woes. Juszkiewicz, who has found himself at odds with creditors in recent months, will continue with the company upon emergence from bankruptcy "to facilitate a smooth transition," according to the agreement. Court papers call for a one-year consulting deal and compensation package for Juszkiewicz. A representative for the company didn't immediately respond to questions about whether Juszkiewicz will remain as CEO or in a separate role. A group of bondholders led by KKR-affiliated funds and advised by investment bank PJT Partners Inc. and Paul, Weiss, Rifkind, Wharton & Garrison LLP had been pushing for a restructuring that would hand them ownership of the guitar maker and let them install new leadership. Working with Jefferies LLC, the company had sought a sale or recapitalization, approaching 58 businesses and signing 27 non-disclosure agreements. Still, it said it didn't have enough capital to pay down its debt and get more time to strike a deal, according to court filings. The group had declined to invest new funds in Gibson while Juszkiewicz remained in charge, Bloomberg previously reported. Gibson was engaged with negotiations with the creditor group in March, talks that ended because shareholders and KKR were "significantly divergent in their views regarding the appropriate consideration for the various parties involved," according to a company statement. The company had also been talking with other potential investors in hopes of receiving new money to refinance its debt and take out the existing creditors. Gibson, founded in 1894, sells over 170,000 guitars annually in 80 countries. Its guitars are U.S.-made, with factories in Nashville and Memphis, Tennessee, and Bozeman, Montana. It also sells studio monitors, headphones, turntables and other musical instruments. Units also include the company's Baldwin Piano business. Its Gibson Innovations business, acquired in June 2014 from Koninklijke Philips NV, was the source of its financial woes, according to a court statement from Brian J. Fox, a managing director at Alvarez & Marsal who will serve as the company's chief restructuring officer. Acquired through a leveraged transaction, the business faced significant sales declines due in part to a loss of credit insurance overseas. 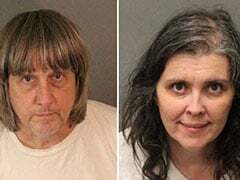 The unit will be wound down, according to a Gibson news release. Juszkiewicz bought the audio and home entertainment business from Philips for $135 million as part of a bid to relaunch Gibson Guitars as Gibson Brands Inc., a "music lifestyle" company. He also bought a line of consumer electronics from Japanese company Onkyo Corp. in his bid for diversification. But the purchases drained cash, and earnings plunged. The company ran out of time for a turnaround as a bond maturity and springing term loan loomed in July. Management, creditors and consumers alike see strong potential for Gibson's iconic music business. But challenges have abounded, beyond the ill-fated expansion into consumer electronics. In recent years, Gibson faced tighter credit terms from its suppliers and growing pressure from new import regulations on rosewood, a crucial material for the company's high-end instruments, according to S&P Global Ratings. 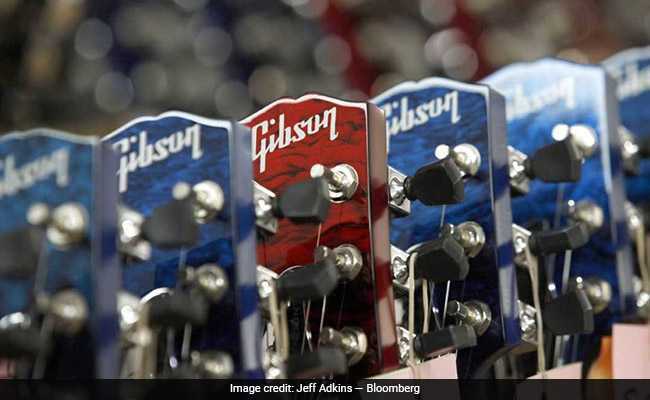 Gibson had also developed a broken relationship with some retailers, a number of whom have stopped selling the brand, citing unmanageable demands that range from annual credit checks to upfront orders for a year's merchandise. "The Gibson name is synonymous with quality and today's actions will allow future generations to experience the unrivaled sound, design and craftsmanship that our employees put into each Gibson product," Juszkiewicz said in a statement.